CAMA, the alumnae association for Camfed graduates, is the largest network of its kind in Africa - and spurring remarkable change as young women from rural communities use their education to benefit others. 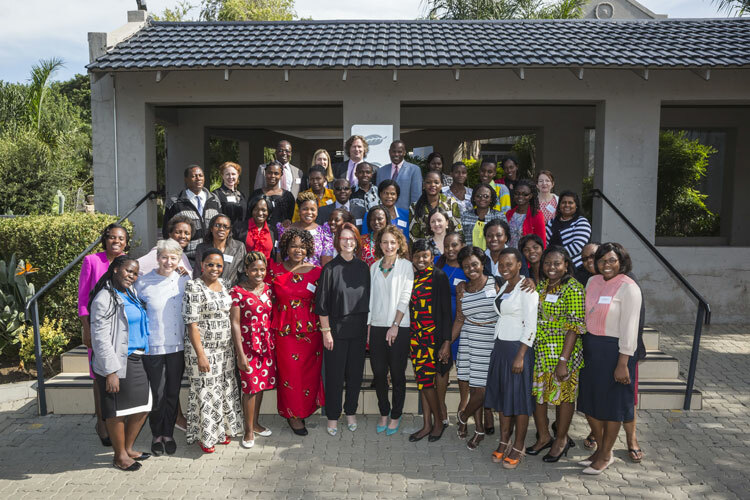 The number of young women leaders in this unique pan-African network is set to grow to more than 130,000 by 2019. CAMA’s power lies in its institutional, as well as its emotional, infrastructure. 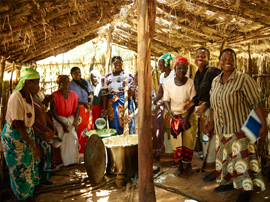 Members share huge determination and resilience against a background of rural poverty and marginalization. They are deeply committed to ‘plowing back’ the benefits of their education into their communities. Organized into elected committees from district to national level, CAMA has a robust mechanism for cascading knowledge. Connected through mobile technology, young women overcome rural isolation, help build each other’s lives, and use their experience and expertise to support many more vulnerable children to stay in school, learn and succeed. CAMA emerged in 1998 thanks to a group of 400 former Camfed bursary students who - along with Camfed - asked themselves 'What next?' after they graduated from school. They looked at international examples of institutions that establish powerful alumni networks and decided they could do the same. This association of educated young women, brought together by a common background of acute poverty and a belief in the power of education, is now making enormous strides in local communities - and on the international stage. Among them are rural teachers, nurses, doctors and entrepreneurs, as well as lawyers and advocates working with global leaders to bring about lasting change in their countries. 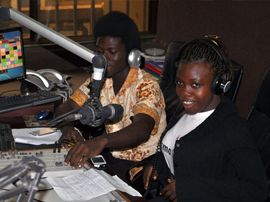 In partnership with donors and rural communities, Camfed and CAMA are offering training, technology, business loans, and mentoring support to young women at the critical time when they leave secondary school and may be under pressure to marry young, or to leave their rural communities for jobs in towns or cities, where they are extremely vulnerable. Our investment in CAMA is paying huge dividends, as young women are extending partnerships, developing innovative programmes, galvanizing change in their communities, and leading the movement in support of girls’ education. 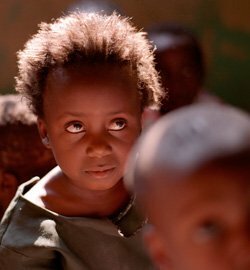 Each CAMA member supports two to three children not in her immediate family to go to school, and rallies community support around the most vulnerable. Trained in subjects such as health, financial literacy, leadership, and setting up businesses, CAMA members provide vital community services. 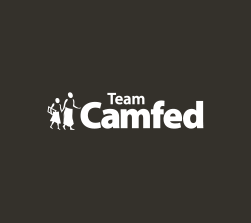 CAMA members use technology to help monitor Camfed’s programs, ensuring that girls receive their entitlements, and recording data like school attendance and performance. 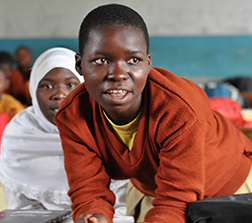 CAMA members are peer role models, trainers and mentors, returning to school as Learner Guides, improving education quality and learning outcomes for vulnerable children. CAMA members provide a critical link between students, families, schools and services, and help establish Parent Support Groups which provide meals, love and material support for even more students. As business owners and entrepreneurs, CAMA members break the cycle of poverty by providing for their extended families, financing their own further education, and creating jobs and new opportunities. 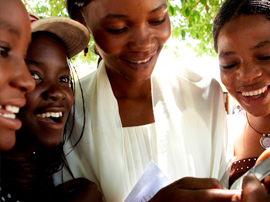 Alice was destined to be a child bride at 14 until Camfed and her community stepped in to support her through school. Now she works with Camfed and some of the district officials who once supported her - monitoring programs, mentoring vulnerable children, and supporting teachers and parents to keep girls in school, help them learn and succeed. As a child Selina survived on less than one meal a day and had to sell charcoal to get a notebook or pencil for primary school. 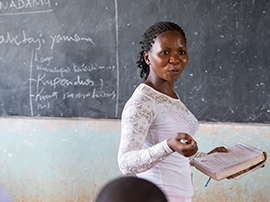 Without Camfed’s support, she had no hope of finishing her education. Now she is a CAMA District chairperson and peer educator, spearheading life skills, health and financial literacy programs for vulnerable children and community members. Talent lost her father when she was eight years old, and her mother struggled to support her. Barefoot and without a uniform, she still she managed to get the highest grades in her primary school. There was no money for secondary school until Camfed stepped in. Talent excelled, and today she is a medical doctor, saving lives in difficult circumstances in a remote malaria-prone district of Zimbabwe. Diris lost her parents when she was still in primary school and depended on neighbours for food. Constantly at risk of dropping out of school, she had to work as a house girl to make ends meet. When Diris found CAMA, and Camfed supported her to attend university, her life changed completely. Now she teaches CAMA Learner Guides the techniques they need to deliver a life skills curriculum to vulnerable children at school. The youngest of seven children, Omega grew up in poverty in rural Malawi. Her family struggled to subsist on her parents’ yearly sale of maize, and there was no money for school fees. 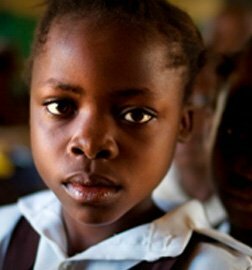 Omega was about to drop out of school when Camfed came to support her secondary education. As a CAMA member, she visits schools and hospitals, and helps the elderly. 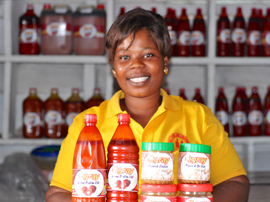 She has started a business, and is now studying to become a nurse and midwife. CAMA members speak to an international audience. Young women from rural communities have personally experienced many of the world’s biggest challenges including food insecurity, unemployment, power shortages, HIV, malaria, and human rights abuses. That personal knowledge and understanding is a powerful basis on which to engage with the world’s decision‐makers in the search for global solutions. Camfed works to support young women to build their confidence and advocacy skills and to identify opportunities for them to engage with policymakers at the national and international level. CAMA members have recently spoken on global platforms including President Obama’s Future of Africa Forum. A young woman from Zambia who lost her parents at a young age, Penelope was sponsored through school by Camfed. Since then, she’s accomplished incredible things. CAMA’s ambassadors amplify the global call for equality and education as world leaders meet in New York.